The Posture range has been designed for the operative who needs to work close to the patient. The front edge of the seat has been cut away to encourage the legs to drop sideways rather than reaching forward. Whilst this range is likened to the saddle seat, it is not as harsh, therefore providing broader appeal. 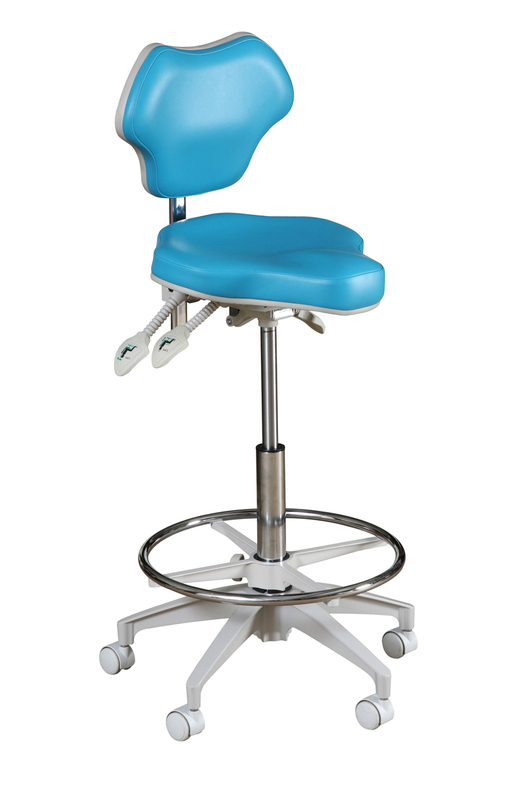 The POS-DC has a high cylinder with foot ring, fully adjustable back rest and seat tilt facility, enabling a good neutral sitting position. This is a No 1 best seller for sonographers, however widely used in all types of Surgery, ICU, Delivery Suites, Eye Clinics and Laboratories. Lumbar support back, dix-arms available on this model, height adjustable footring, hand controls.